These beautiful hoop earrings made from sterling silver feature 1/2 ct. t.w. blue baguette channel-set diamonds. These hoops secure with hinged backs. 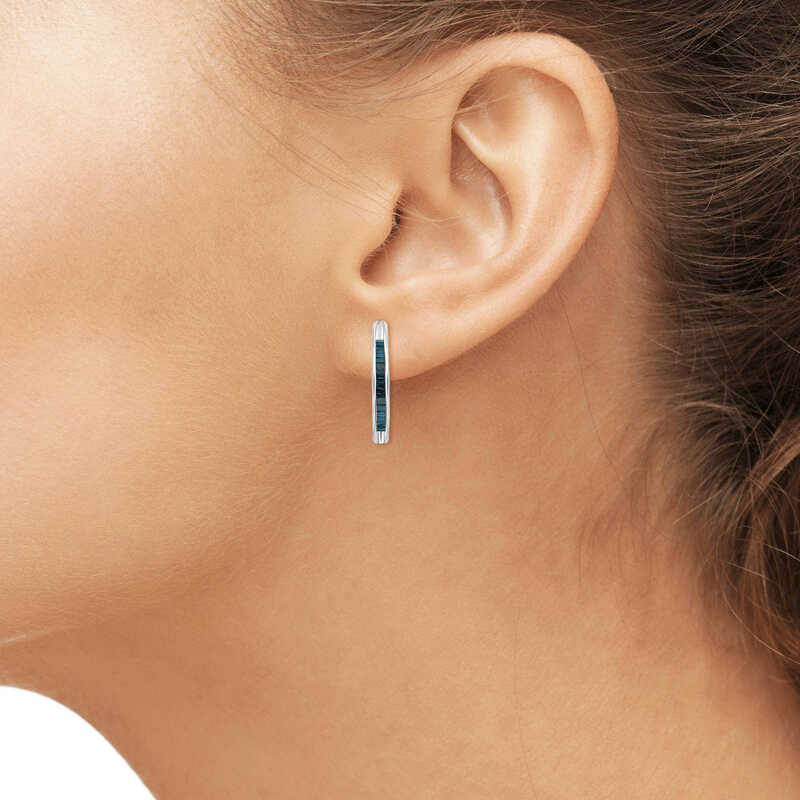 Each earring is set in high-polished rhodium.